Performs at events across the country. Available to perform with or for you. Based in North Yorkshire, the orchestra uses some of the most talented players in the North of England, drawing from as far afield as Manchester, Newcastle & Leeds. 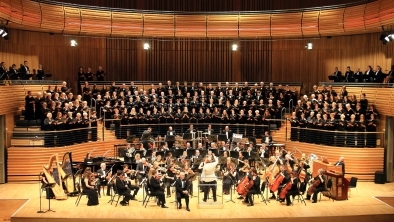 Founded in 1991, the orchestra is renowned as one of the best accompanying orchestras in the North and frequently perform at The Sage, Gateshead - one of the North's superior venues. Over the years, the orchestra has performed for royalty, in European premieres and at festivals across the country - but we love small intimate venues too! Our educational outreach program gives local semi-professionals and music students a chance to perform alongside experienced, professional players who lead the sections. "The final song, We Overcome The Wind, was an outpouring of joy; a unanimous standing ovation evinced the sense of togetherness at the heart of this concert." Established in 1991, The name "The Mowbray Orchestra" comes from the 12th century Norman Barony of the same name, a historical tie to the vale of Mowbray - the birthplace of the ensemble. 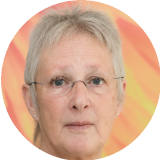 The Mowbray Orchestra is the professional offshoot of the St Cecilia Orchestra - one of the most renowned semi-professional orchestras in the UK. Building on the strong base of the St Cecilia Orchestra, and due to strong demand from choral societies on both sides of the Pennines, this professional offshoot was born to bring together acclaimed performances and musicianship to accompany choral societies and renowned international singers Sir Thomas Allen CBE, Alan Opie, Roderick Williams, Mark Padmore, Anna Stephany, Rachel Nicholls, Linda Richardson, Phillip Smith and Dominic Barberi amongst many others. 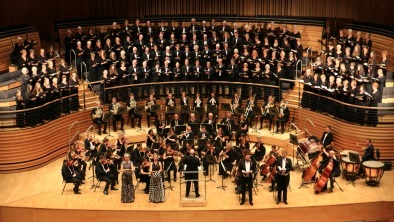 Cleveland Philharmonic Choir is always pleased to work with Mowbray Orchestra. 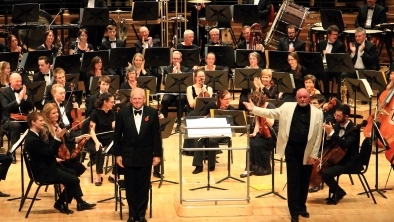 Their playing is of a consistently high standard regardless of whether the concert is in a local church or at a high profile event at the Sage Gateshead and the organisation is both reliable and friendly. Throughout the whole concert the orchestra were just phenomenal... This was the first time that I had heard The Mowbray Orchestra play and I hope it will not be too long before I do so again! I was also extremely impressed with the Mowbray Orchestra. Their efforts were second to none. With only a small selection of musicians... gave a powerful performance which cut through the voices and give us a brilliant musical narrative to spectate to.